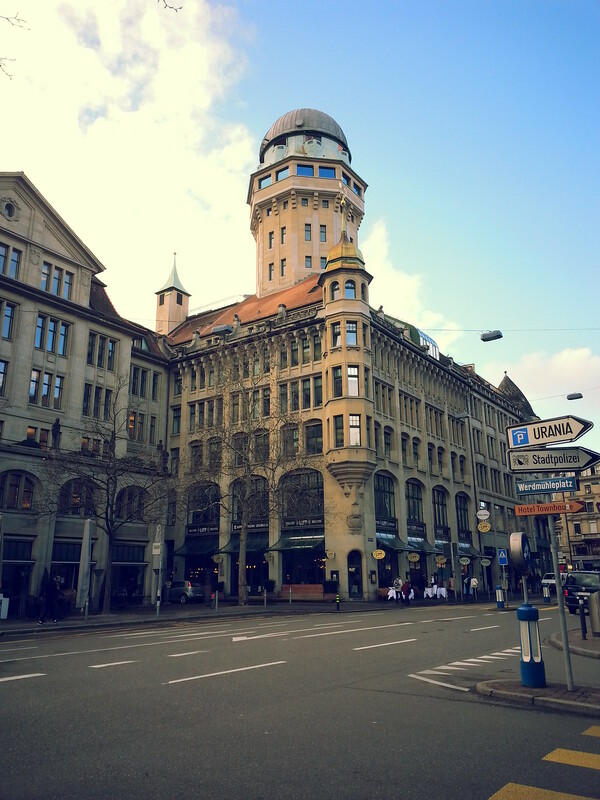 With over 400,000 inhabitants, the city of Zurich (also spelled “Zürich”) is the largest city in Switzerland. This German-speaking city is one of the world’s leading financial centers, as plenty of businesses and start-up companies are present everywhere. Zurich would be my last stop on my five-day trip across Switzerland– that said, I did my best to see as much as I could during my one-night stay there. I took a BlaBlaCar ride from Lucerne to Zurich with a Swiss-German lady who didn’t speak much English, but we had some good conversation during the one-hour drive over. The ride went by in a flash, and she soon dropped me off in front of the Zurich train station around 15:00. While weather had been pretty good during my time visiting other parts of Switzerland, it unfortunately turned for the worse upon arriving in Zurich. It was raining somewhat heavily once I arrived, and I’d regrettably left behind my umbrella accidentally back in Geneva– considering that I was umbrella-less, I didn’t want to explore Zurich that afternoon just to get soaked, so I waited it out a little bit inside the station before heading straight to my Couchsurfing host’s flat. It was about a 30-minute walk to the flat from the train station, but I soon enough arrived in front of the apartment, where my host let me in. He wasn’t Swiss, but actually Russian, who’d moved to Zurich about a year prior to work at a start-up firm. He was in his thirties and, despite being rather reserved, he was kind and offered me plenty during my short, one-night stay in his flat. In addition to his Bulgarian flatmate, my host also had another guest, a Norwegian man, who’d be Couchsurfing the same time as I was. It was certainly a full house, but all the same they were pleasant and respectful, which made the otherwise disproportionate man-to-woman ratio more comfortable. Upon settling in, we all had some tea and cake while conversing together, as we slowly got to know each other. 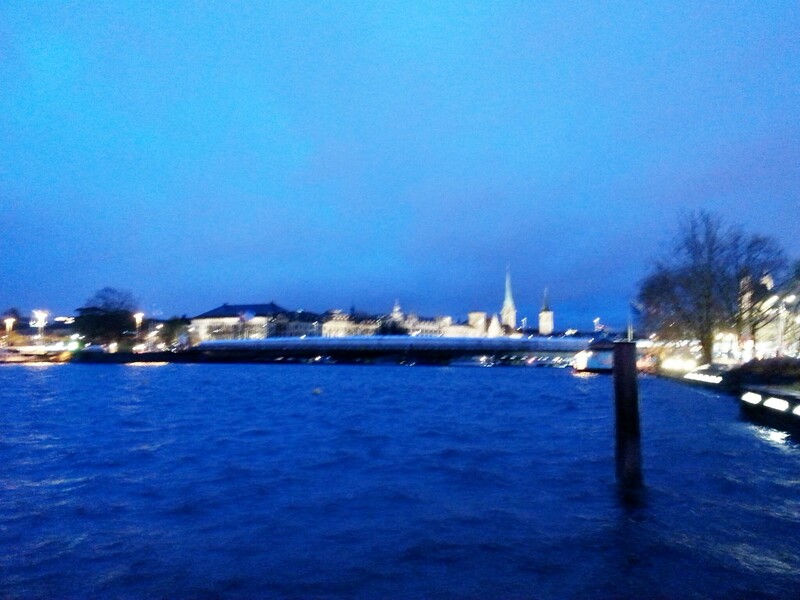 We decided to go out and explore Zurich in the early evening. It was rather chilly as we strolled along Lake Zurich. I got a glimpse at the Opernhaus (“Opera House”), as well as the heart of the city lit up at night. Before heading back to the flat, we went into Coop, a Swiss supermarket, where we bought some groceries for dinner that night. My host also brought some crusty bread, which he actually fed to the swans along the edge of the lake! Along Lake Zurich in the evening. Returning to the flat, the Norwegian guest and I helped my host prepare and cook dinner. It was a simple, but large meal with creamed-mushroom spaghetti, a chicken-tomato salad, bread, and cheese. We paired the meal with some beer and wine, and my host even introduced me to Russian brandy, which was incredibly strong, but nevertheless tasty. We made pleasant talk, and it was overall a good dinner. Full and tired from the long day out, I soon decided to head to bed after the meal; my host was kind to offer me his bed while he took the sleeping bag on the floor. I went to bed, falling asleep quickly. However, the sleep didn’t last very long, as I suddenly woke up sometime around 4:30 in the morning– my skin was feeling incredibly itchy, and it wasn’t until I turned on the lamp that I saw a trail of red bites that were swelling by the second. The terrifying feeling instantly sunk in: I’d gotten bitten by bed bugs! Cursing quietly, I sprang out of bed, which I’d presumed was infested. I headed to the desk near the room, where I sat in the chair and figured out what to do. I was completely awake by then, and my mind was racing as to what I should do. This wasn’t the first time I’d gotten bitten by bed bugs, as it’d also happened to me barely three months ago, when I was in Brussels– my experience then had unfortunately tarnished my view of the Belgian capital, and it appeared to be the same case for Zurich. After a couple of hours staying awake, I heard the rest of the flat-goers wake up for the day. My host was up, and I told him about getting bed bugs, as well as suspecting that they might be from his bed. He was suspicious at first, but said that he’ll look into it soon. I was in a state of being upset, but at the same time, I had to calm myself down: perhaps my host didn’t know about the bed bugs, or maybe I’d gotten them in one of the other two Couchsurfing hosts’ flats prior. I really had no idea, but in any case, I knew that I had to face the reality and figure out what to do once I got back to France that evening. Bed bug bites or not, I still had a few hours to explore Zurich before I was to catch my train back to Paris in the afternoon. After having breakfast with my host, I packed up my belongings and headed out with him, who was leaving for work. I said goodbye, thanking him for the short, but pleasant stay (despite the bed bug incident) and set out on my own to explore as much of Zurich as possible. I headed along the quay once more, eventually coming upon the Grossmünster, one of the four main churches of Zurich (the others being the Predigerkirche, Fraumünster, and St. Peter). Built in the early 12th-century, the Grossmünster is reputed to have been found by Charlemagne, the king of Franks. Interestingly, it rivals with the Fraumünster as the “superior” church of the city, and it has been established as the “superior” one to this day. 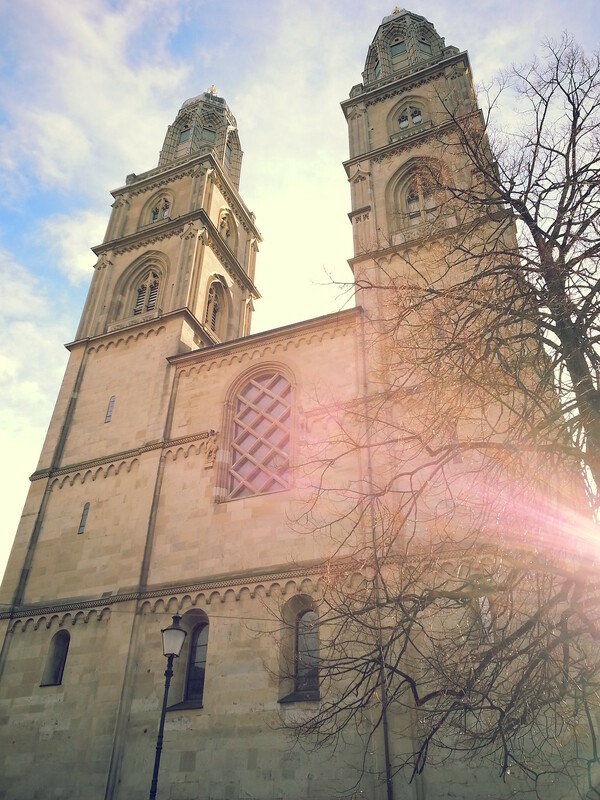 The Grossmünster was certainly a towering sight to behold. I’d arrived when it hadn’t opened yet, so I merely circled the exterior before buying a souvenir at a nearby shop and continuing on my way. I headed up to Lindenhof, a hilly square where it has rich medieval and Roman histories. 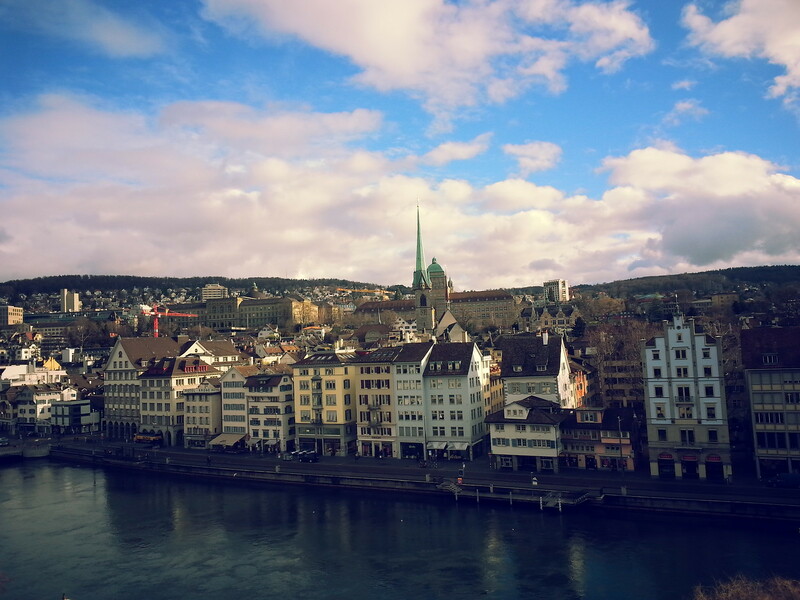 Not only that, but it also offers some great, free views of Zurich, of which I stopped to admire and take photos of. 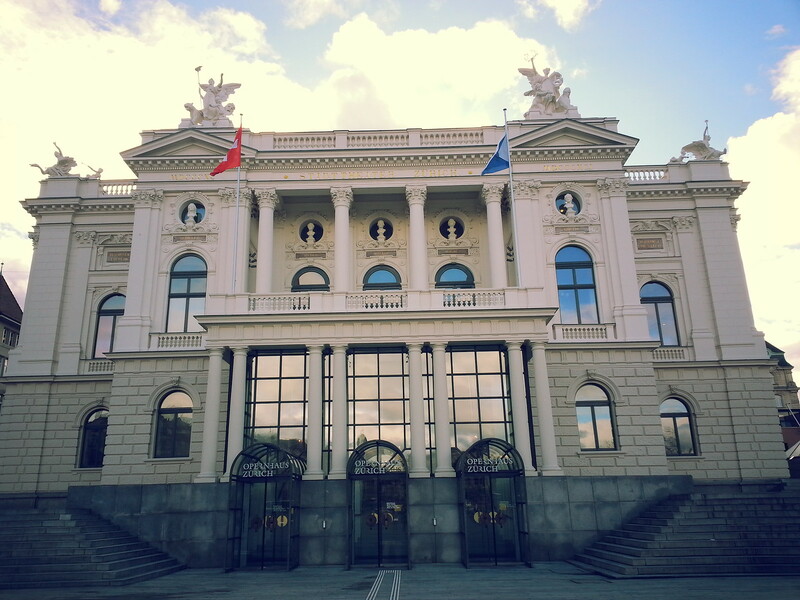 I made my way to the Opernhaus once more, near where I stopped by Coop to buy some Swiss chocolate as souvenirs. They were relatively inexpensive compared to what I would otherwise have gotten at a high-end Swiss chocolatier– funny enough, I ended up buying artisan chocolate at Sprüngli inside the train station, which I ended up finishing within two days: they were that good! On my way to the train station, I passed along the Banhofstrasse, known for its numerous boutiques for shopping, as well as got a glimpse at the towering Urania Observatory. I reached the station, where I wait for my train to Paris at half-past 13:00. If I hadn’t bought enough chocolate already, I got more at a small stand that was giving out free mini-Twix: I love the brand, and I might’ve taken two (or five!) of them for the road. Soon after, I caught my train to Paris, settling in for the four-hour journey and then taking the regional train back to Normandy. A colleague picked me up from the station and took me back to my flat, where I got in towards 22:00. 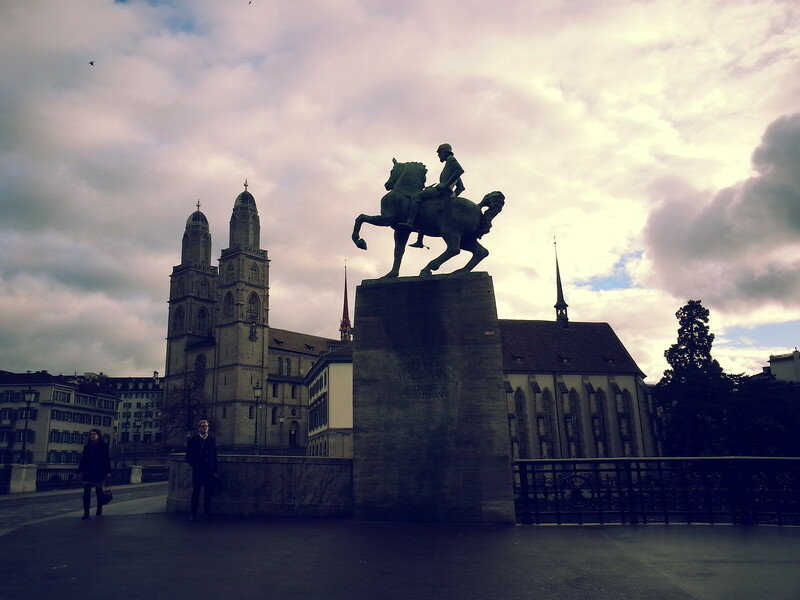 I will say that Zurich wasn’t my favorite Swiss city I visited. Most of it was due to the horrible bed bug incident, but the rest of it was because I didn’t find that there was much to see in the city center. However, it wasn’t all that terrible, as I did have a decent Couchsurfing experience and saw some pretty architecture in the city. 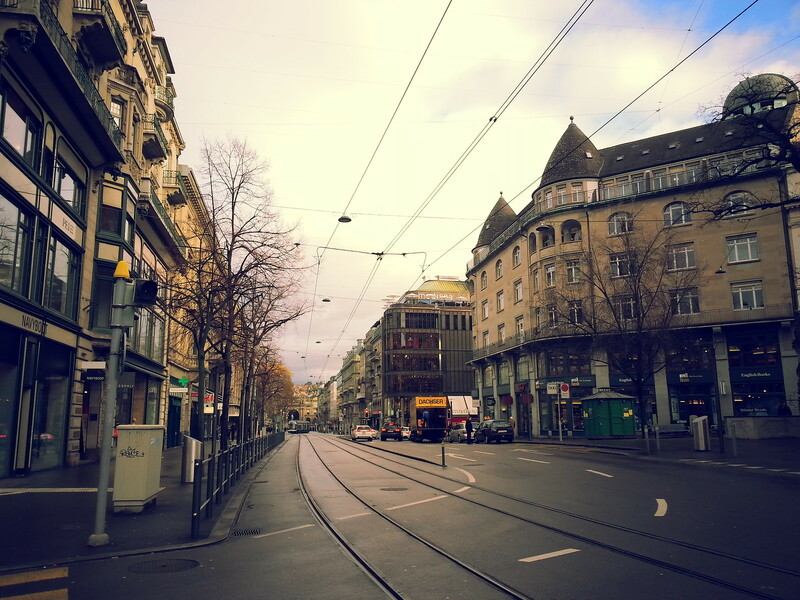 I’m glad to have visited Zurich, although I wouldn’t choose to revisit it. Overall, my five days in Switzerland were intense, but pretty good. I would say that my experiences in the five cities (Geneva, Lausanne, Bern, Lucerne, Zurich) were a hit-or-miss, as the majority were expensive and didn’t offer so much to see. All the same, though, I got a taste of the Swiss life– literally and figuratively– and it’s worth a visit from its neighboring countries…should one have the money! Thanks for reading, and I’ll be recapping more adventures to come! I’m also surprised I got to see a lot in Zurich! Granted, it was probably the highlights, but still worthwhile. The bedbugs ruined my trip somewhat, and I really hope never to get them again.